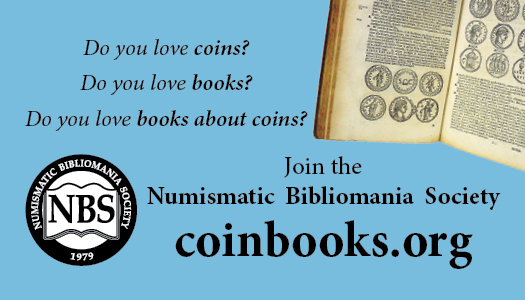 Is it possible for you to own a numismatic library without owning a numismatic reference? Yes, and it’s no mystery how; literature abounds with plots featuring coins, especially in detective stories. So many money-themed Sherlock Holmes tales fill the canon that Holmes-reading numismatists recently formed a club, The Fourth Garrideb. 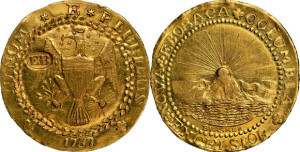 Raymond Chandler’s Philip Marlowe chased a privately minted gold piece in The High Window, better known under its reissued title, The Brasher Doubloon. My favorite numismatic whodunit is Ellery Queen’s The Mystery of the President’s Half Disme. Ellery Queen appeared to be his own Dr. Watson, writing prolifically about his exploits from 1929 to 1971. 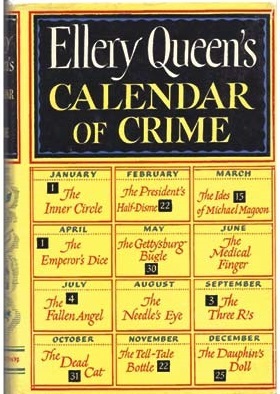 “Ellery Queen,” however, was actually the joint pseudonym of Brooklyn-born cousins Frederic Dannay and Manfred B. Lee, except that Dannay was born Daniel Nathan, and Lee was born Manford Lepofsky. So Nathan/Dannay and Lee/Lepofsky were Ellery Queen, except when they wrote four mysteries under another joint pseudonym, Barnaby Ross. As Ellery, the cousins were detective royalty. Their novels, short stories, anthologies, radio and TV series, movies, and even their own monthly mystery magazine, made Ellery America’s favorite mid-century sleuth. The cousins next used the story to fill February’s slot in their anthology Calendar of Crime (1951). 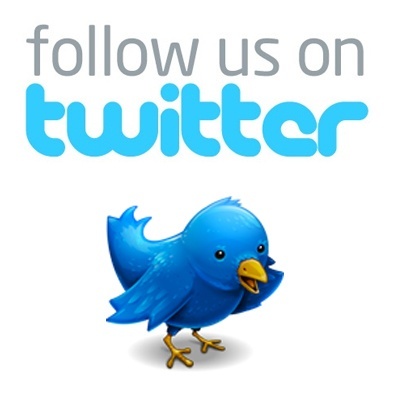 It has since been republished in other anthologies, such as in Haycraft’s and Beecroft’s Ten Great Mysteries (1959). The plot features an intellectual battle royal between the king of sleuths and the father of his country. 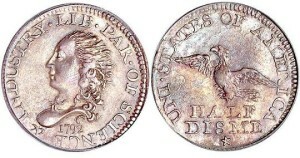 Ellery is summoned to the Clarke farm, a few miles south of Philadelphia, where Washington supposedly buried, in a copper case crafted by Paul Revere, a 1791 half disme, underneath one of a grove of oaks. But every oak has been felled, every stump pulled, every hole dug beneath, and there is still no sign of Revere’s handiwork holding the unique half disme. Ellery wrestles with George Washington’s ghost, even chops down a cherry tree, and deduces where in the grove the president buried the first coin struck by the United States, just as dawn is breaking: on Feb. 22! Unless you insist on first editions, you can build a library of literature about coins for a mysteriously low sum. You can fill a bookshelf with numismatic mysteries for $100 or less. Only Ellery Queen could explain why anyone wouldn’t do it!